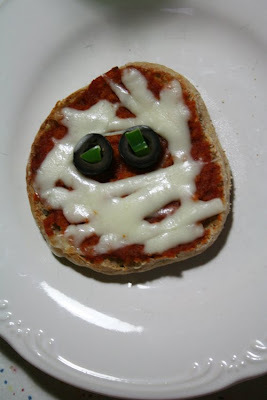 After receiving an email yesterday with a link to these Pizza Mummies, I decided it might be a good way to bring some fun to an otherwise dreary, rainy day. 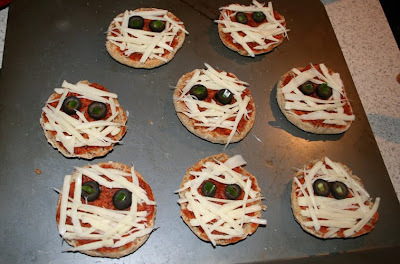 We bought some sprouted grain English muffins, organic pizza sauce, organic string cheese, olives and green pepper. I'm not an olive fan, and therefore, don't generally keep them in the house so this project was great because all 3 boys decided they do like olives. 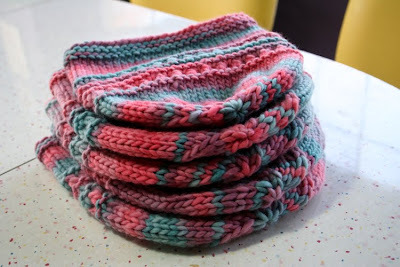 On to WIP Wednesday...I finally finished this group of hats I've been working on for a long, long time. 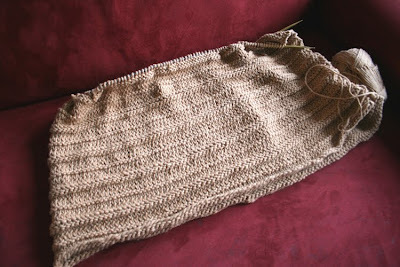 And I started knitting this blanket that will be part of Paulie's Christmas. I couldn't decide if I wanted to commit to another Christmas blanket. 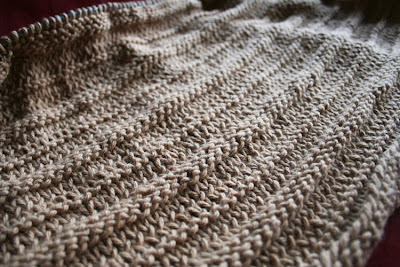 Ultimately, I took the plunge, and it's knitting up rather quickly. I love the chunky knit! Those pizza's are adorable! We may have to make those on Halloween night. I've been dreaming of a comfy knit blanket for sometime--that looks perfect! I love those little pizzas. B is the only one in our family who likes olives so I never have them in the house either-I may have to get some to make these! i love those pizzas! Thanks for the idea!